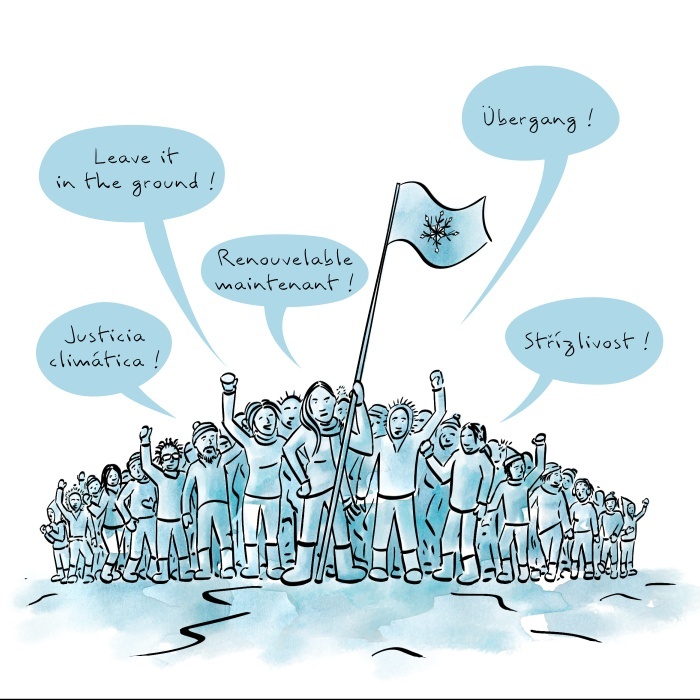 After several generous offering, here is finally a tutorial to translate (or correct, adapt, parody…) my comics “Mokatori” or “Climate Change Explained to Frogs“! Of course, the farther you go in your contribution, the less work is left to me! Small legal notice: By contributing to translate my comics, you put your work under the same free license than the comic, the Creative Commons Attribution-ShareAlike 4.0 International License. 2. The first column is descriptive, and then there is one column by language, and one cell by speech bubble. By reading the comic one hand, and filling the the spreadsheet the other hand, you can translate! If you wish, you can work offline or on you favorite spreadsheet software: save the spreadsheet with the small dedicated icon (surrounded by red in the picture above). But don’t forget to copy and paste your work back to the online spreadsheet once done. 3. Send me an e-mail at welcome at nylnook point com to tell me you contributed: Thanks a lot, as soon as possible I’ll make a new version of the comic in this new translation! If you have a little more time, you can also help me translate the keywords of the website in the same language: It works the same way on this online spreadsheet. It’s a little more complicated, but you will have the pleasure to put your words and your bubbles on the drawing! To avoid double efforts, the first thing to do is to read comments at the end of this page: if it’s not already taken or done, leave a small comment to “book” what you plan to translate (which episode and which language). In the source folder of Mokatori, open the layout folder, then copy the version you want to translate from, then paste to make a new folder, and rename it with the two letters of the target language (according to ISO Language Codes). Just double click on a text to edit it. – the node tool, the second one, to edit a bubble : click and drag on points or curves to transform it. If a character is missing in the font for your language, please tell me and I’ll add it to my font! Don’t forget to translate the metadata.sh file too (containing metadatas! 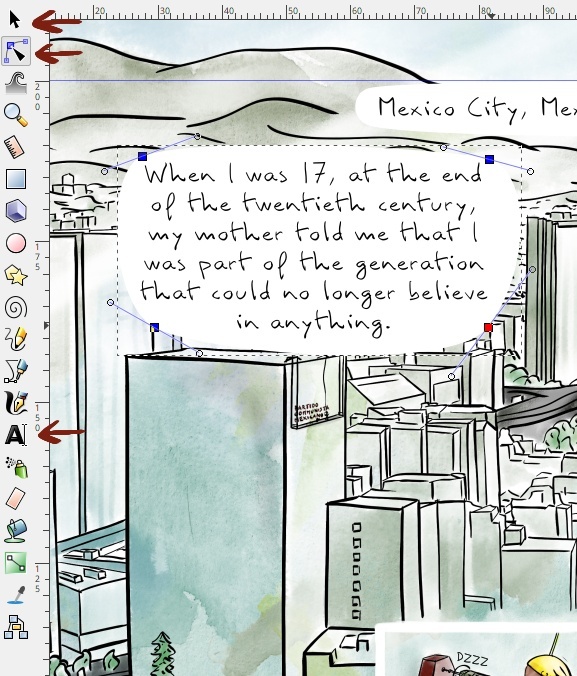 ), useful to generate a comic ebook for example. It’s a simple text file, you can open and edit it with the Windows notepad, Notepad++, Gedit, or any other text editor. One last step left, send me your translation! You need to make a zip archive of your folder (right click on the folder > zip), which contain only the .svg files and the metadata.sh file. It should weight less than 500 Ko. You can send me this zip file joined to an e-mail at welcome at nylnook point com. Finally don’t forget to tell me how to name you in your mail, so I can add you to the credits. I’ll just need to generate ebooks or the printed version, and to publish your work, thanks a lot ! If you have a little more time, you an also help me translate this website in the same language. 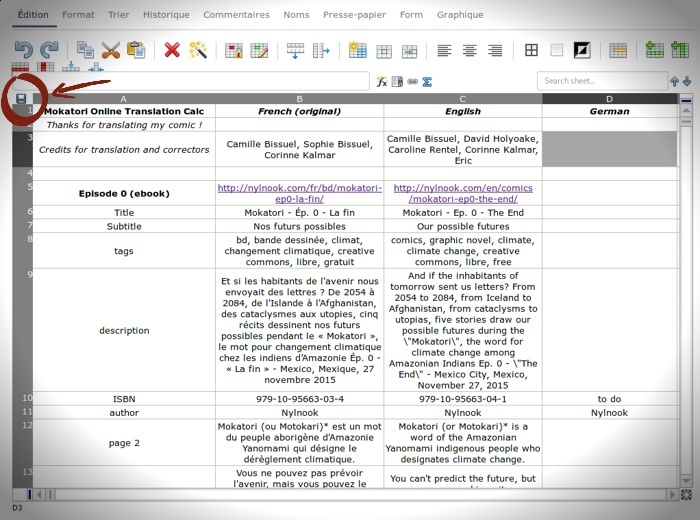 You can translate keywords like the Earthling, but also copy and paste website pages in your favorite text editor (like LibreOffice Writer) to translate, then send me your translation by e-mail (in a open format like .odt, .rtf, or .html preferably). Pages to be translated first are pages describing the comics, and static pages like the home page, About, Support and Follow. Translating like a geek, it’s doing everything like the artists, but using git, the free and open source distributed version control system. It will allow you to contribute directly on source files, keeping the history of each one contribution, without breaking anything! If you feel like being a geek, but you don’t know git, you can learn it here, in approximately 15 minutes. And here is the full documentation. – and obviously git, downloaded and installed on your computer. At eh moment you are missing the sources files of Mokatori or the Frogs, but precisely you will clone it with git. To avoid wasted efforts, the first thing to do is to read comments at the end of this page: if it’s not already taken or done, leave a small comment to “book” what you plan to translate (which episode and which language). Then you have to configue your identity in Git, so I know it’s you! Then you must register on Framagit, but don’t worry it respect your privacy, and you can use an existing Github or Gitlab account. Then send me an e-mail at welcome at nylnook point with your name or pseudo on Framagit so I can add you to the authorized contributors, or mention it in the comments below! Then wait until you get all the files. 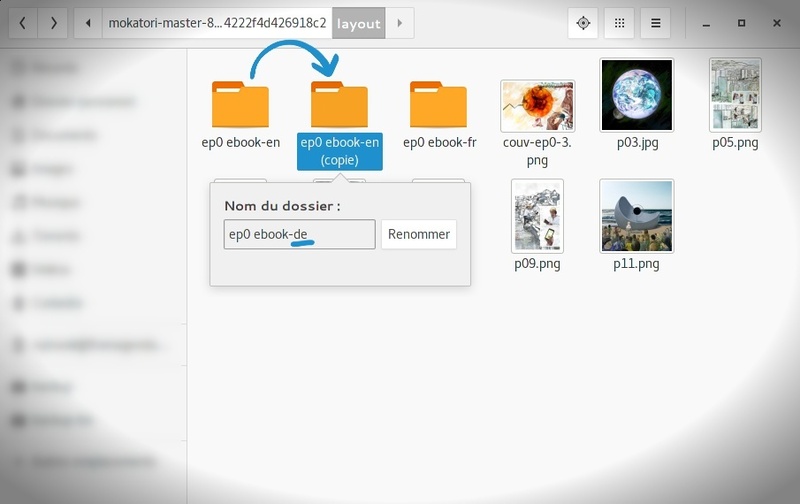 Inside the folder you just created, edit all .svg files with Inkscape, translating. Don’t forget to translate the metadata.sh file too (containing metadatas! 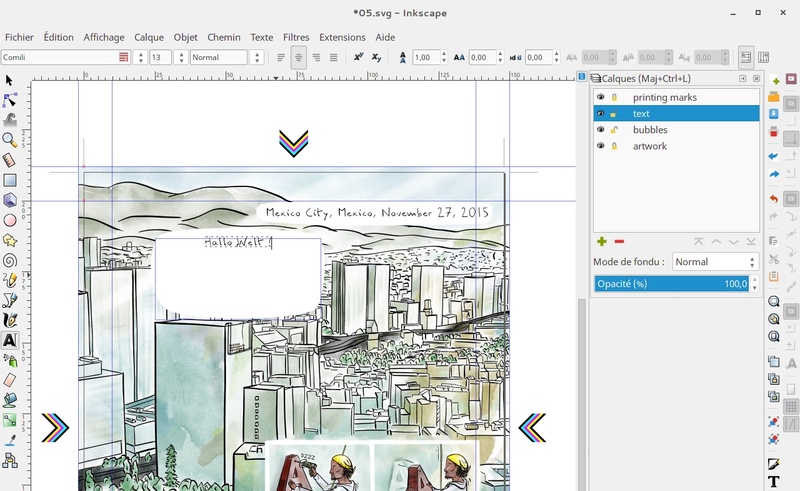 ), useful to generate a comic ebook for example. It’s a simple text file, written in Bash under Linux. Finally, don’t forget either to edit the README.md file at the root of the Mokatori folder (and written in markdown syntax), to add your name to contributors! $ git commit -m "a description of my translation for others"
If there is a conflict (two peoples worked on the same file) don’t panic, most of the time you just need to accept merge and do another commit. At this last step, Git will ask you to sign in on Framagit, and I will receive your changes! I will just have to publish your version, thanks a lot! If you’re a geek and if you’re motivated, you can also translate this website. It’s build with Docpad, the source code is on Git, and the method I use to translate it is explained in details in this post. 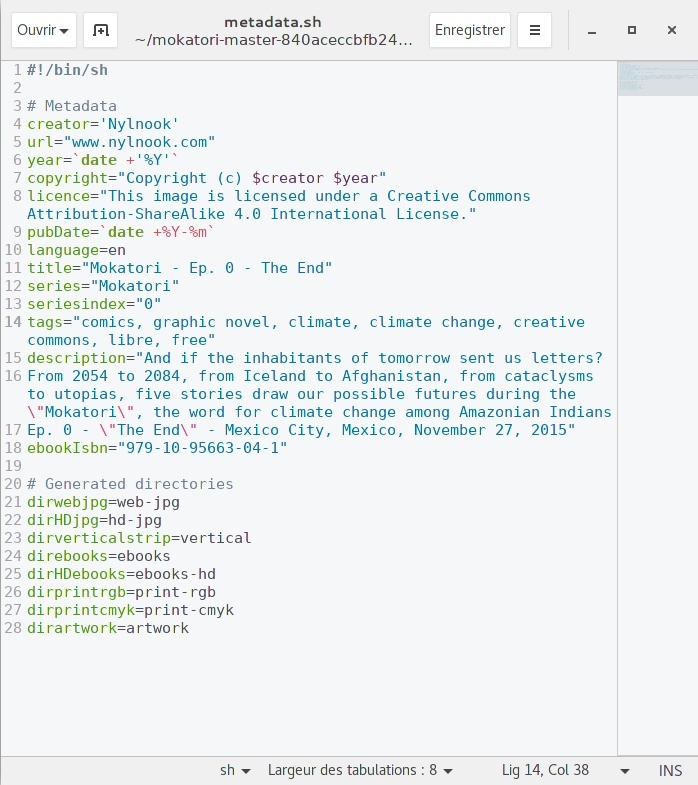 Starting with translation of the .json language files and the 6 main pages, plus the comics pages, would be huge! Whatever the method you used, whatever it’s short or long, many thanks for your translations!